Before adding any short sale properties, you will want to take care of some initial setup. If you haven't done so yet, see Short Sale Property Setup. 1. Follow the instructions for Adding A New Property. 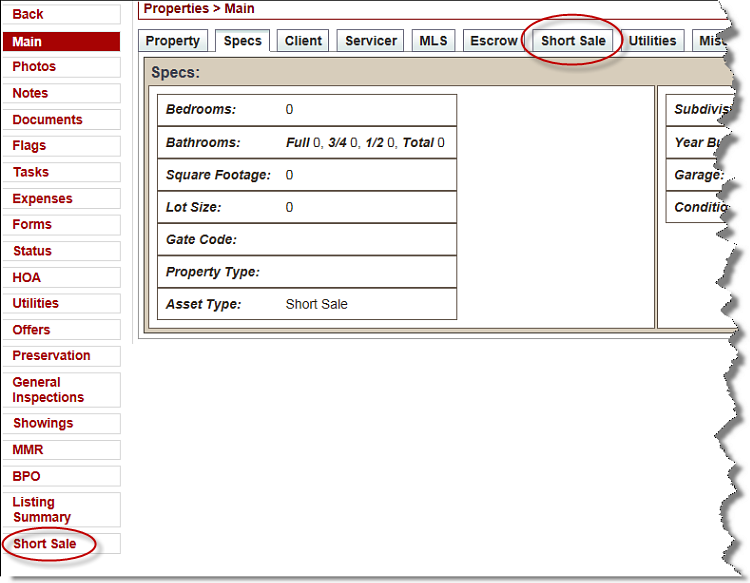 When adding the property, be certain to set the property's Asset Type to Short Sale, as shown below. The Asset Type can also be changed later in Properties > Main > Specs. 4. Click the Edit button (shown circled in red above). 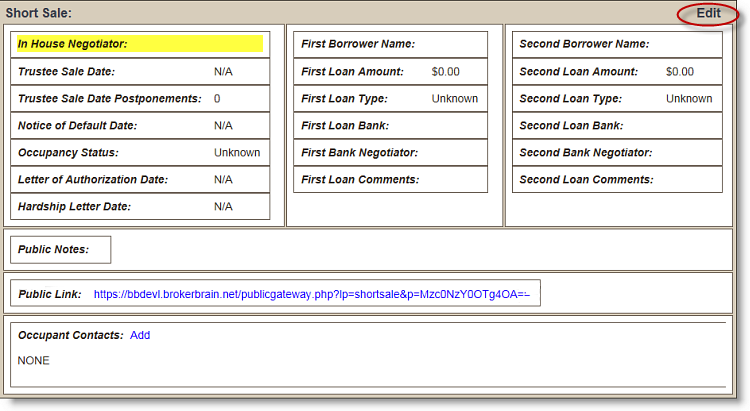 If you added a Short Sale Negotiator in Admin > Users, you can assign them to the property here in the In House Negotiator field. Add in any other pertinent information, then click the green Update button at the bottom of the screen.